We would like to feature our Member, Mount Saint Vincent University and Partners in Education Roatan (PIER), and their intern Rawane Nassif. Rawane Nassif is originally from Beirut, Lebanon but immigrated to Canada in 2007, living in Edmonton and Montréal; she has also lived in Tajikistan and Kyrgyzstan. She completed her Bachelor’s degree in Audiovisual Studies and Filmmaking, and the Université Saint-Joseph in Beirut, and her Master of Anthropology from the University of Alberta. She is interning with Mount Saint Vincent University and Partners in Education Roatan (PIER). As a Cultural Literacy Educator, she will be encouraging literacy in children through folklore. I am interested in trying to create a just and fair world but I would not call it precisely development as much as a communal solidarity work that engages and benefits both sides of the equation. Being an immigrant and having lived in both the so-called ‘Global South’ and ‘Global North’, I am currently very interested in how the stories of the South get told, by whom and in what way. 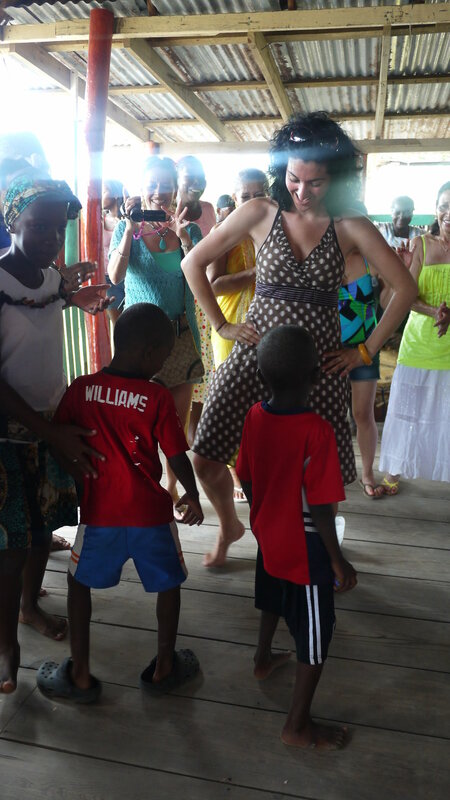 I am really looking forward to be able to work with kids and be creative, to collect stories from the elders and digging into an understanding of the cultural mix of the island of Roatan, where three languages are spoken: Spanish, English and Garifuna. I am also excited to practice my Spanish, scuba dive and explore the coral reef. Travel, talk to random people, go to museums, go for walks in nature, do community work and go to art shows. I will be helping to write stories for kids in Honduras, on the Island of Roatan, and working with the girls club to create collaborative videos. Both stories and videos will be portraying the life on the island and will help to create educational materials that are inspired from the culture. Having studied and worked in both filmmaking and anthropology, this is my dream opportunity to be able to bring certain aspects of a culture into a visible, tangible and recordable format that can be used for many educational purposes with the kids but that can also serve as an interactive tool to preserve and reflect upon a culture. I think that literacy (in all its forms) is best achieved when it is combined with one’s own culture and is able to mirror one’s everyday life. Partners in Ecucation – Roatan’s mission is to improve the economic development of the Island of Roatan and the quality of life of its people by ensuring the excellence of education. Since 2006, PIER has been active in the areas of education, nutrition and community development. Successes include refurbishments of a local school, creation of the three e-leaning centers and operation of a free library and community centre. PIER also works with the local department of education to improve teacher education and a local clinic - Clinica Esperanza – in providing healthcare and nutrition needs to families and children on the Island. Best of luck on your journeys, Rawane, Elizabeth and Jessica!